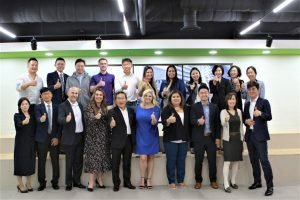 On October 8, 2018 we welcomed our 18th country, South Korea, to the Isagenix family! At our corporate headquarters in Gilbert, AZ, we celebrated the momentous occasion with a flag raising ceremony. The live video of the ceremony can be found here. The South Korean market is headquartered in Seoul and led by Steve Kim, who recently came on board as South Korea General Manager. Steve’s vast experience in the direct selling industry will be a tremendous asset to us as we enter this exciting market. Steve served as the vice president for a top direct selling company where he led that company’s successful launch in South Korea, beginning in 2012. Under his leadership, the company achieved over $400 million in cumulative sales in its first five years of operation and has been recognized among the top 10 direct selling companies in Korea for the past three years. Only share marketing materials created specifically for the South Korean market. Do not sell or distribute products in the market prior to the official launch. Country changes are strictly prohibited, so please do not enroll anyone through existing markets. Some bonuses and promotions will differ from the existing markets, and it is important that you only share the South Korean Compensation Plan and bonuses in this market to avoid confusion. We couldn’t be more excited about this opportunity! 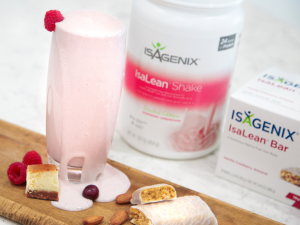 Earlier this month, Isagenix launched the Healthy Living Guide which featured the return of a favorite, Raspberry Cheesecake IsaLean™ Shake, as well as the launch of the brand new Vanilla Cranberry Almond IsaLean bar! Limited Edition Raspberry Cheesecake IsaLean™ Shake takes fresh, juicy raspberry flavor and blends it together with vanilla and white chocolate for a taste that’s out of this world, while the brand new Vanilla Cranberry Almond IsaLean Bar combines sweetness with luscious almond, vanilla and cranberry flavors. The two seasonal items are available to customers in the United States, Canada and Puerto Rico. You can purchase the items through your back office or by clicking the link here. Have you tried either the Vanilla Cranberry Almond Bar or the Raspberry Cheesecake IsaLean™ shake? If so, send a video explaining why you love either product to @START_YourLife on Instagram for your chance to win exclusive START gear! Missy Bruggeman was searching for a vehicle to start the life she wanted while still being able to coach. This former Division I collegiate softball coach though that she was living the dream, but deep down she had several burning questions. She knew that she loved her career, but not the lifestyle that came with it. She was working 10-12 hour days a week with only two-weeks paid vacation each year. 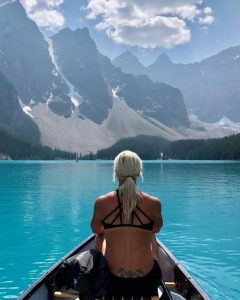 She wasn’t making enough money to pay off her college degrees and couldn’t help but wonder if this was the way life would always be. It wasn’t until Todd Siddons introduced her to Isagenix that her mindset completely shifted. Head on over to the News tab on StartYourLife.com to read the rest of Missy’s story, and some of our other member’s START Success Stories! The START Leadership Retreat Promotion recently hit the halfway mark! 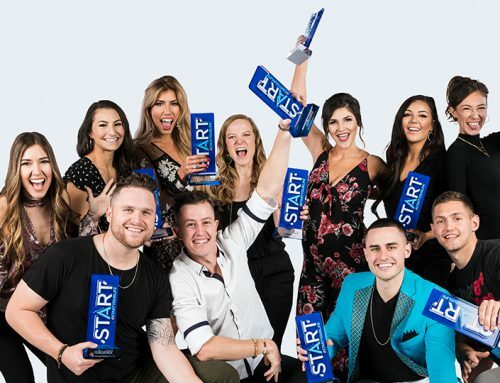 START members have stepped up to the plate and are making this a competition for the books. Each week the leaderboards change and new participants earn their spot on the official leaderboard. This is still anyone’s game, so keep pushing so that we will see you in Peru! 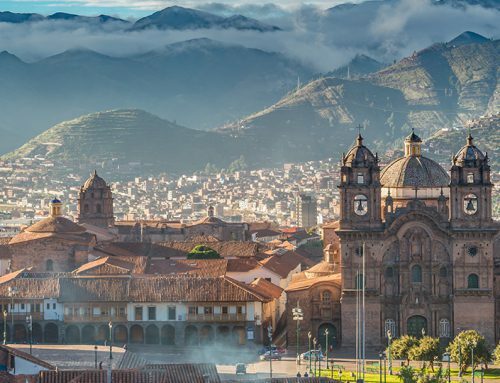 The START Leadership Retreat will take place in Cusco, Peru! 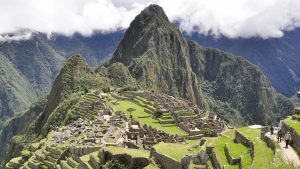 Join us in the land of ancient cities and renowned Inca ruins where we’ll take an excursion to one of the new Seven Wonders of the World, Machu Picchu. During this once-in-a-lifetime opportunity, we will explore jaw-dropping views while fully immersing ourselves in local culture. Each day will be jam-packed with memorable excursions and learning opportunities. This trip is one for your bucket list – you won’t want to miss out! 1 point = for each new Personally Enrolled Customer with an initial product purchase of 100-149 BV. 2 points = for each new Personally Enrolled Customer with an initial product purchase of 150-199 BV. 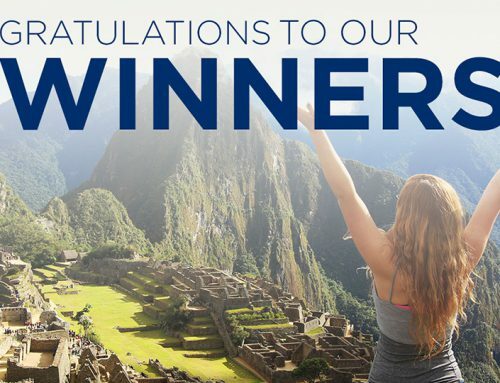 3 points = for each new Personally Enrolled Customer with an initial product purchase of 200+ BV. 5 points = for developing a new Personally Enrolled first-time Consultant. 10 points = for developing a new Personally Enrolled first-time Manager. 15 points = for developing a new Personally Enrolled first-time Director. 20 points = for developing a new Personally Enrolled first-time Executive. email will be sent to START members each week notifying them of how many points they have earned! For current leaderboard standings, and promotion details, click here. The START Leadership Retreat Series is back this month with brand-new trainings from our incredible START Ambassadors! The training calls focus on a wide variety of topics to help set your business up for success and earn points in the START Leadership Retreat promotion! In addition to the weekly call series, START Ambassadors will offer trainings in the START Facebook group as well as on the official START Instagram page. Check out Gabrielle Dean’s Facebook Live on How to Get Consultants to Create Consultants here! This month, START Ambassadors, Jackson Parr, Audrye McLeod, Laura Stevens and Lindsay Hoffbuhr hosted two powerhouse calls for START members to benefit from! The first call of October (which can be found here) featured Jackson Parr & Audrye McLeod. The two spoke on how to get Consultants to create consultants. In the hour long recording, the pair spoke on the importance of leading by example and taking the first steps to inspire your teammates. Laura Stevens and Lindsay Hoffbuhr followed up two weeks later by offering START members a training on leadership development. They spoke on the importance of events, building real relationships and being truthful when building your business. To catch the replay of their call, click here! Keep an eye out in the START Facebook group in November as we close out the START Leadership Retreat Call series with the final two calls! You won’t want to miss it! New products just in time for the holidays?! Sign us up! 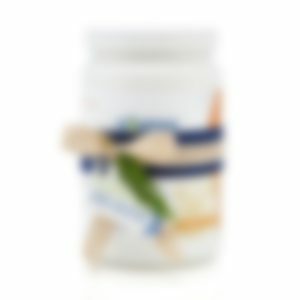 Join us Monday Nov. 5 at 7:30 AM PT, 10:30 AM ET as we launch our newest limited-edition flavors on IsagenixLive.com. 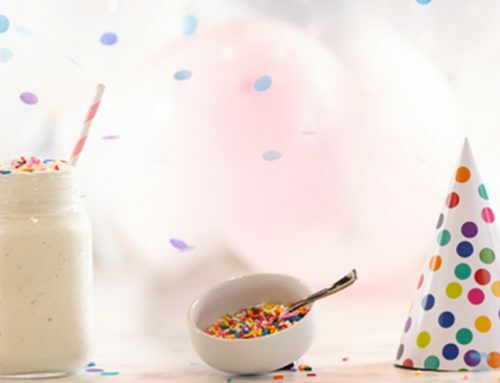 These Limited-Edition flavors will NOT last long, so make sure your teams tune in, they will NOT want to miss out on these highly coveted items. 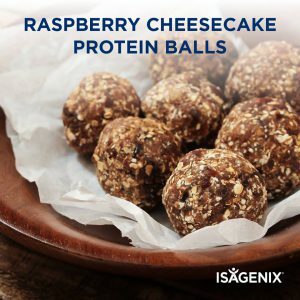 During the Facebook live launch of the Healthy Giving guide, Isagenix Millionaire Hilari Courtney shared her recipe for Raspberry Cheesecake Protein Balls. These tasty treats are sure to be the talk of your next holiday party! And with added protein, vitamins, and minerals, you’ll help your friends and family achieve their health goals! 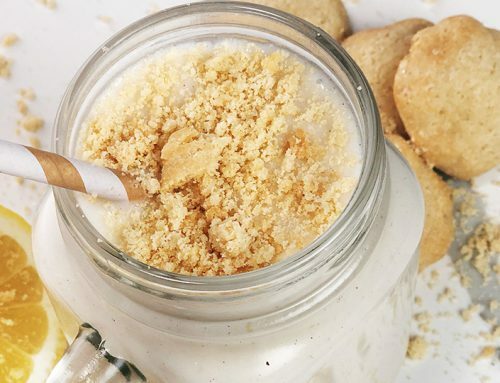 Use our Limited-Edition Raspberry Cheesecake IsaLean™ Shake to make the recipe below! Kick it up a notch and add Immune Shake Booster to keep your family healthy this season.